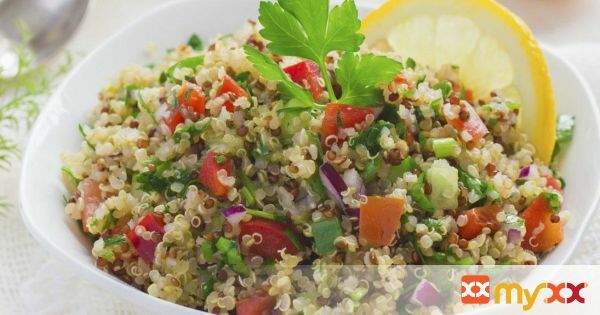 Brown Rice Tabbouleh; a great side dish or party dish. 1. Combine rice, cucumber, tomato, parsley, mint, green onions, olive oil, lemon juice, salt and pepper in large bowl. Toss well and chill.